If you’ve been around DIRECTV for a while, you may have some unused wiring in your home, and a few unused parts. The good news is that it’s possible to turn that unused stuff into an ethernet connection for any room! You may also have old DECA boxes like the one at the top of this article. 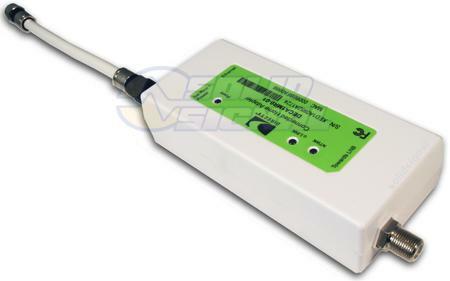 These were used to let your older receivers and DVRs connect to each other for whole-home programming and internet features. With HR24, H24 and newer devices, you don’t need these boxes any more and they may have been sitting in a drawer. Here’s the good news: You can give yourself a spare ethernet port by connecting one end of a DECA to an unused coax line, and the other to a PS12 power supply. This will let you connect to a network switch so you can run multiple devices off that line. Even if you don’t have a spare coax line you can use that DECA in a room with a receiver already in it. Here’s a simple diagram. It shows the new-style DECA but works just fine with the older ones and the PS12 power supply instead of the EPS10. Is your DIRECTV DVR Playlist confusing? Hide the stuff you don’t want to see! DEBUNKING THE BLOGS: Will AT&T drop the DIRECTV name?